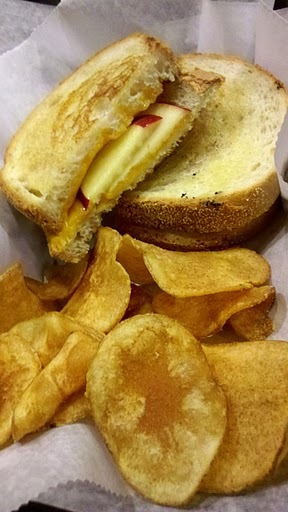 Stokes – Apple Grilled Cheese. A special item offered during a visit to Stokes. I’m starting to have many favorite places to go and eat. But just one can be my first. 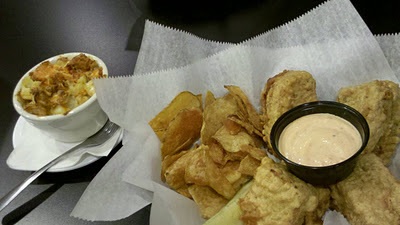 Stoke’s Grill is, in my opinion, the best hidden gem in the North Hills. The menu is mainly soups, salads, sandwiches and the likes, which is simple yet effective. When I moved to Pittsburgh in 2007, I hadn’t yet branched out into investigating all that the Steel City had to offer. Instead I opted for simple cuisine that was familiar to me until I found my footing in the area. As someone new to living north of the Allegheny river, I, like many others, frequented McKnight road. For people who have never heard of Stoke’s Grill, if you travel the North Hills, then there is no doubt that you travel passed it all the time. It’s located right between El Campesino and a FedEx Kinkos on the lower end of McKnight road. Stoke’s has some signature items that I think really showcase its variety and creativity. Here are some select menu items of choice for me: The Hitch (a grilled turkey and swiss pretzel sandwich), The Frizzle (chicken quesadilla), Monte Cristo (you’ve never tasted one made like this! ), Motmot (turkey and bacon grilled wrap) and if you really want to be adventurous, try the Widow Maker (grilled sandwich with italian meats, turkey, plus two eggs). I also recommend a cup of soup, because they are homemade – I recommend the Tomato Pepperjack or the Crab Bisque. Oh, plus they are BYOB. And if you forget a bottle, there is a Wine and Spirits store in the North Hills Village plaza just 1 traffic light away. Dine and enjoy! You’ll want go back for more, trust me.